Aspen and our customer worked extensively together on developing this product which could integrate directly into their system. This program started as a breadboard system to demonstrate system feasibility that Aspen’s compressor could be used to cool >150 W from a small chip surface (~2 x 2 in). The customer responded positively to the demonstration units and wanted to ramp into production quickly. 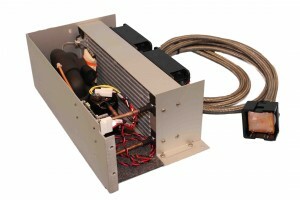 Aspen worked with the customer to develop a compact subsystem which would integrate into the customer’s final assembly. Simultaneously Aspen worked with our vendors to simplify the system and drive cost out of the unit in order to provide an affordable product.